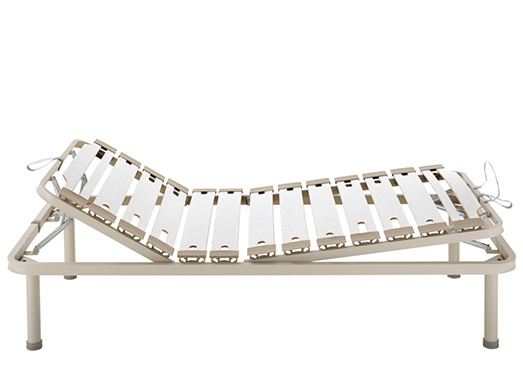 Superego Firm is an anatomical support designed for an audience that prefers a sustained, firm and stable bed system. 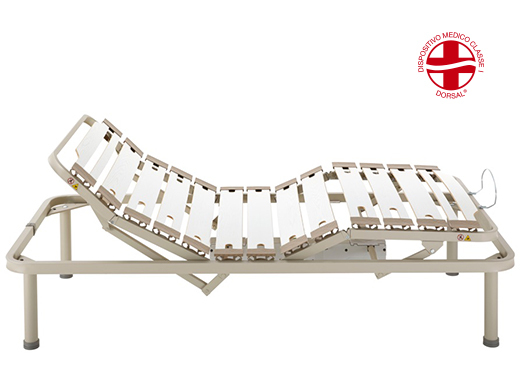 The Hytrel® suspensions in the Superego Firm version are characterized by a supportive shore, which combined with the suspension provides a very stable mattress support. Superego Firm is designed to support heavy weight loads. Superego's 7-layer Dorsal slats are highly performing. 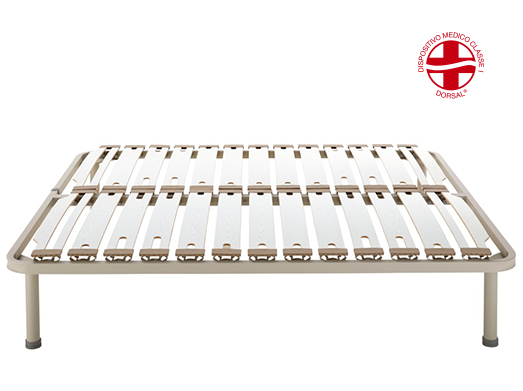 The film covering them has a protective anti-moisture function and the structure of small depressions creates beneficial air passages between the slat and the mattress, for a constant ventilation of the entire bed system. Contour cuts on slats soften areas that require less rigidity. 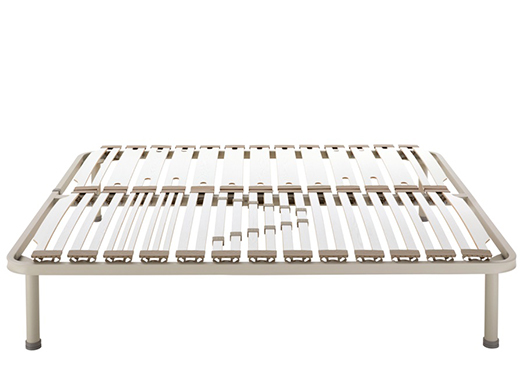 - Multilayer beechwood slats 100x8 mm.